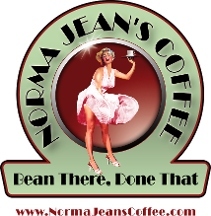 Norma Jean’s Coffee in Aptos, near the Bayview Hotel, is an independently-owned coffee shop in the heart of Aptos Village. They serve a wide range of coffees and teas, and also feature an array of baked goods that are actually made on-site in their own kitchen. It’s clean, comfortable, cozy, and quiet. Tip: They have free wi-fi – bring your laptop and stay awhile!